Colin Usher designed the house in West Kirby, Wirral, to keep the bills as low as possible for himself and his wife, Jenny. Amazingly, the pair now pay less than the price of an average takeaway for their year’s supply of energy for heating, lighting, cooking and hot water. 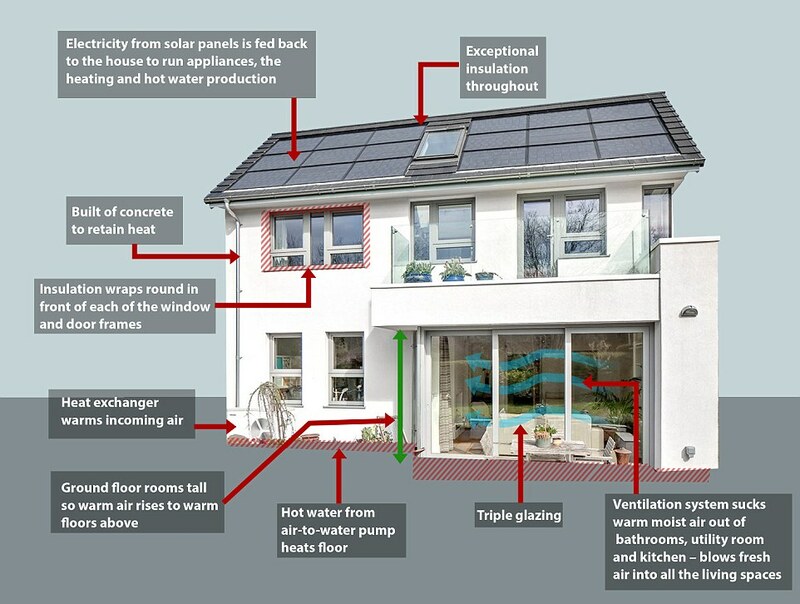 The house is designed to maintain an even temperature year round by using insulated concrete and a hi-tech heat pump that takes in heat from the outside air and uses it to warm the house. Solar panels keep the electricity bills to a minimum. The cost of the house is broken down as follows: The original property was worth £192,500, it cost £6,000 to demolish it, disconnect services and set up others, £240,000 to construct it and external works cost £2,000, bringing the total to £440,500. Mr Usher told MailOnline that he was ‘very proud of the technical aspects of the house’, which he says is more or less hermetically sealed, but uses pumps and a clever design to keep fresh air circulating. ‘All the risks we took in making this work, have paid off,’ he added. Here are the key features that ensure he never has to pay more than £15 a year to run it. Mr Usher said: ‘I suppose you could say that it’s what I’ve been working on for my whole career. 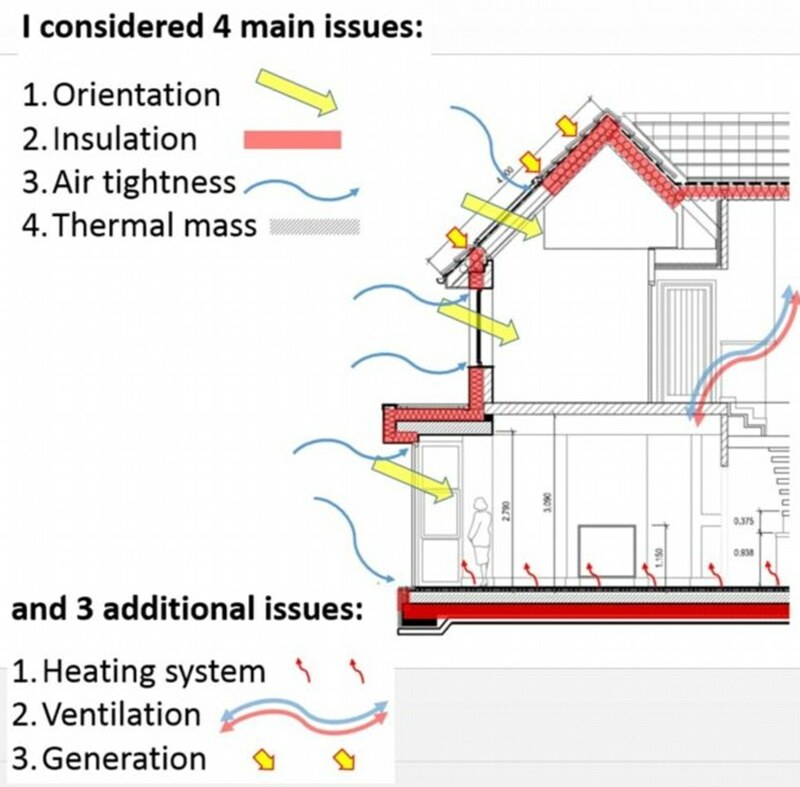 ‘I’ve always had a huge interest in energy efficiency and because I was building it for myself and my wife, rather than a client, it gave me the chance to test out a few theories I had, which thankfully paid off. ‘It’s not been done at the expense of comfort – it has high-end finishes and it’s got lovely high ceilings and big rooms. Everyone that visits says it’s lovely and warm. ‘It is very comfortable to live in and its appearance is not incongruous with surrounding houses.